Chelsea’s Mateo Kovacic revealed that he watches videos of Paul Scholes in order to improve his game. According to a report by The Sun, on-loan Kovacic watches YouTube videos of Paul Scholes in order to become better adjusted to the way of English football. Kovacic has featured 5 times for Chelsea since joining on loan from Real Madrid this summer after being cast aside by new Madrid manager Julen Lopetegui. “Every player has to be himself— but for me Scholes was one of the best ever. Kovacic offers a creative option in central midfield for Chelsea and also a wealth of top level experience from his times at Inter Milan, Madrid and last but not least his part in Croatia’s journey from underdogs to World Cup finalists this summer. 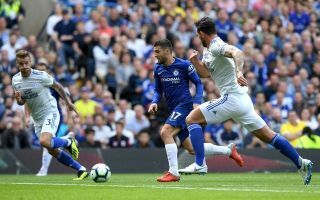 I have the feeling adapting to life in England won’t seem to be much of an issue for Kovacic – who speaks an amazing five languages; Croatian, German, English, Italian and Spanish. Check out a clip showcasing Kovacic’s multilingual ability here. Kovacic, now 24-years-old will be hoping to prove to fans that he is one of the world’s best in his position and his role in Maurizio Sarri’s Chelsea side will definitely help the Croatian reach his full potential.